I know when I posted my recipe (homemade rice seasoning) last week, I mentioned I had a goal of sharing more than just dessert recipes here at Blissful Roots. And here I am today with another dessert. My apologies! 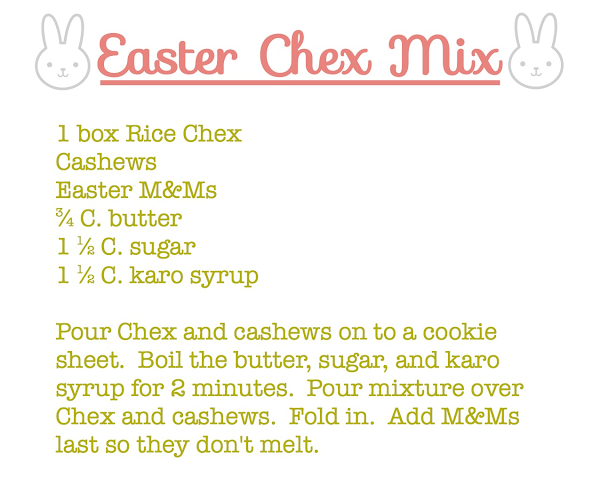 But this recipe is a bit time sensitive, so I had to get it posted. I promise next week's recipe will be a savory side dish! We had a gathering with all the girls (ages 12 to 18) at church a few weeks ago, and one of the leaders had brought this totally addicting treat. I always love a good cereal treat, don't you? My grandma always had a Special K one she would make (stay tuned for that recipe) make, and it was my favorite! 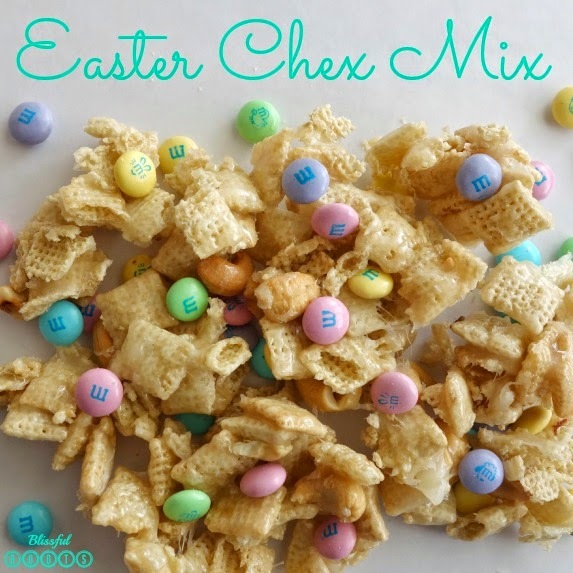 This Chex recipe is equally as good, takes hardly any time to make, has just a few ingredients, and will become a family favorite for sure! The last sentence in the recipe is important! The M&Ms will melt and smear, so wait a bit to add them, but not too long, or they won't stick. I actually just pushed the M&Ms on top with my fingers, and that seemed to work really well. 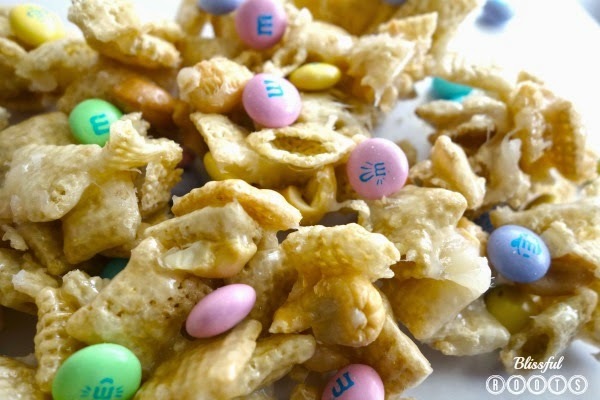 Of course you could use regular M&Ms, but with Easter just around the corner, the pastel colors are completely fitting. The perfect Easter treat for your up-coming Easter festivities! Just make sure to double, or even triple the batch for a large group. It will go quickly! Yum. I am totally making this!